The 1920s was a turbulent time in Chinese political and cultural history. Government instability and corruption, war, and sweeping poverty defined the period. These factors influenced many Chinese students as they came to the U.S. to study biology. Two of Morgan’s students, Lu Huilin (1900-1997) and Pan Guangdan (潘光旦; 1899-1967) became major advocates for Chinese eugenics. Pan visited the MBL in 1925. Lu visited in 1926, and came back in 1927 and 1928. Both also spent time at Cold Spring Harbor Laboratory, and Pan participated in the eugenics course there. Back in China, Lu published a Chinese translation of Morgan’s The Theory of the Gene and eventually established the first Chinese sperm bank for eugenic purposes in the 1980s. 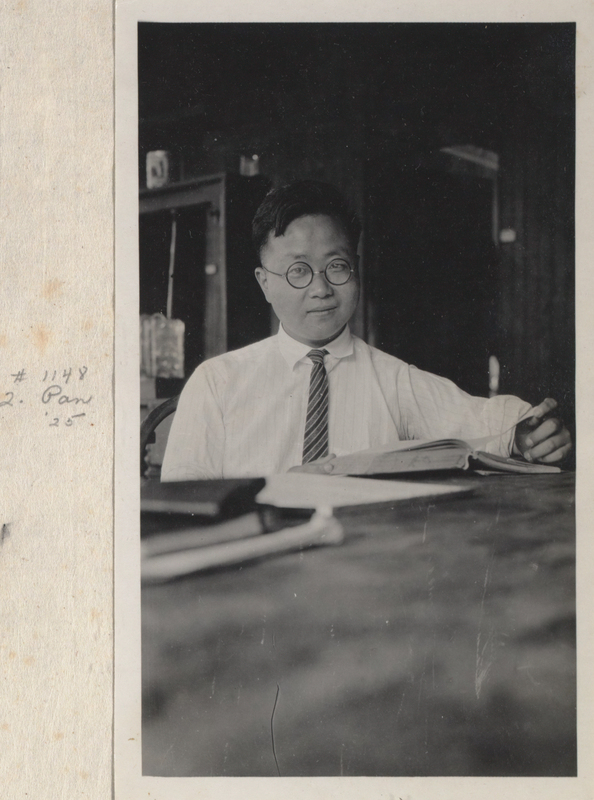 Pan, on the other hand, using novels, essays, and genealogical studies, published extensively on eugenic topics and became the most influential thinker about Chinese eugenics in the twentieth century.